Readers know we believe there are those financial arrangements that maintain stability and those that may garner long-term investment returns. But anything that promises both stability and high returns is not likely to work out that way. The uncomfortable truth is, we must live with volatility in order to have a chance at market returns. Short-term market action cannot be reliably forecast, nor profitably traded, in our opinion. Yet market values can be volatile. Imagine an account of $500,000: a 20% drop would shrink it to $400,000, while a 20% gain would grow it to $600,000. How do people stand it? 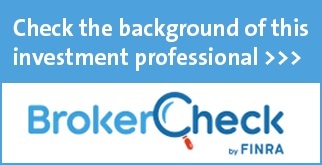 Second, the long view helps clients understand that volatility is not risk. Put another way, as we’ve written before, a short-term drop does not necessarily represent a loss. How should we view that $500,000 value dropping to $400,000, in the long view? Relative to the original $200,000, it’s still a gain. Worrying about drops as if they are losses is optional for people who are investing for many years or decades down the road. This perspective requires a certain confidence that we will stumble through any problems and likely come out of whatever troubles have arisen. Optimism is sound policy, for if we are going back to the Stone Age, it won’t matter what is in your portfolio anyway. Clients, if you would like to talk about these ideas or any other, please email us or call. Posted in Tactics and tagged anchor, financial stability, income investing, long term investing, long term thinking, mark leibman, mindset, oracle of louisville, owning the orchard, perspective, stability, volatility on July 25, 2018 by Leibman Financial. This concise statement makes it clear: every investor faces tradeoffs. Current Income or Long Term Growth? Some strategies focus on growth in capital over time, others focus on current cash flow. Many investors need some of each. A pure growth portfolio probably won’t pay your bills, and a pure income portfolio may not have the growth to stay ahead of inflation. Stability of market value or long term growth? This is where we live! 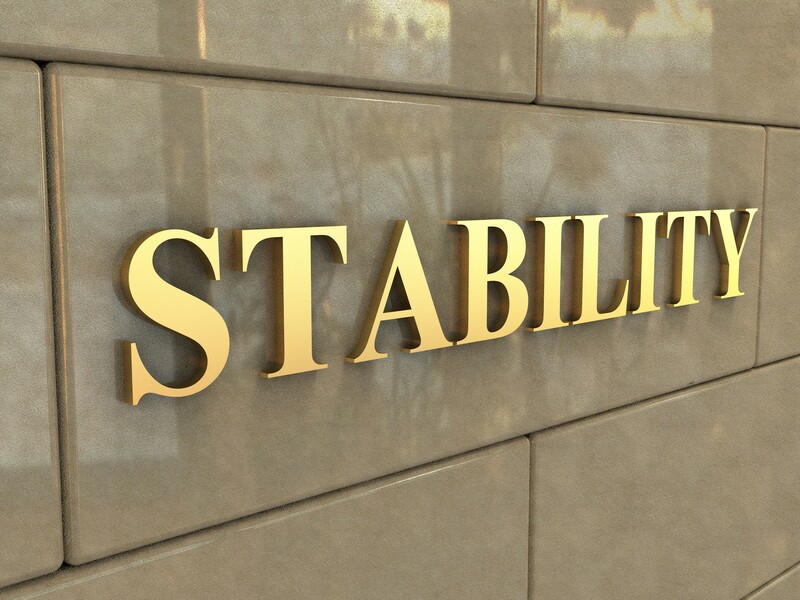 We have written about the high price of stability. And we have constantly communicated in every way we know how about the link between long term returns and short term volatility. Everybody we know would prefer having both stable values day to day and wonderful long term returns. You cannot have all of both—the best we can do is some of each. But it helps to resolve this tradeoff if you make sure your income and emergency funds are sufficient for your needs. If you own the orchard for the fruit crop, you don’t need to care what the neighbor would pay you for the orchard today. Reliability of Income or Stability of market value? This dilemma is not even recognized by most people, and rarely discussed by investment professionals in our experience. Nevertheless it is a vital point. At one extreme, the kinds of investments that assure stable values have delivered wildly varying income over the years. In the early 1980s one could gain interest of 1% a month on money in the bank. More recently, it has been difficult to get 1% per year. So the person that retired on bank deposit interest of 12% saw a lot of volatility—and deterioration—in their income over time. Meanwhile, anything you can own that produces reliable income over extended periods will definitely fluctuate in market value, sometimes sharply. Putting it all together: As you can see, every investment strategy has flaws. The trick, as Carlson says, is to find the one with flaws that you’re comfortable with. So we need to understand what is required in the way of stability, current income, reliability of income over time, and long term growth. We can build a portfolio that strives to balance those attributes with tradeoffs that are both acceptable and likely to be successful. Please call if we may be of service in this regard, or to update our understanding of your situation. Posted in Tactics and tagged decision making, financial decisions, financial planning, growth investing, investment advice, investment strategy, mark leibman, stability, tradeoffs, volatility on March 7, 2016 by Leibman Financial. In the short term, this is reasonable. If you have $100 today and you know that you will need $100 a week from today, the only sensible move is to put your money someplace where you know its value won’t change. Investing it in a volatile market means you might make a few extra percent your original money, at the unaffordable risk of coming up short when you actually need your money. When we start to look at investing for the long term, though, we can start to see the difference between volatility and risk. Suppose you take your money and bury it in a hole in the ground for 30 years: this is about the least volatile “investment” you can possibly make. You can reasonably expect that the value of your buried money will stay nearly constant. Yet, because of the existence of inflation, it is almost a certainty that your money will lose a lot of purchasing power over the course of 30 years. Essentially you have a 100% chance of losing value over the long haul despite having virtually no day to day volatility. On the other hand, if you took your money and invested it for 30 years, you can afford a lot of up and down movement during those 30 years—as long as the final value is higher than what you started with. If your investment has a daily gain 51% of the time and a corresponding daily loss 49% of the time, you can be fairly confident in your eventual profit—even though you’re watching the value go down several thousand times over the course of those three decades. None of us know the future: there is no such thing as a guaranteed investment, and every investment incurs some form of risk. But it’s important to understand the difference between an asset’s volatility and its risk. For long-term investors, looking past day to day volatility can help you find bargains that are not as risky as you might think. The opinions voiced in this material are for general information only and are not intended to provide specific advice or recommendations for any individual. Investing involves risk including the loss of principal. Posted in Tactics and tagged investing, long term investing, mark leibman, risk, stability, time horizon, vix, volatility on February 10, 2016 by Leibman Financial.